Are you interested in learning more about the important elder topics and issues? Elder Services is happy to join you in your organization or community to address a topic of your choice or to hear about how Elder Service can assist you or a loved one. Elder Services of the Merrimack Valley is committed to community education and raising awareness about aging issues. Our speaker presentations are provide an important educational resource to elders, family members, caregivers, professionals working with older adults and Human Resource Departments whose employees may be caring for older relatives, partners, neighbors or friends. 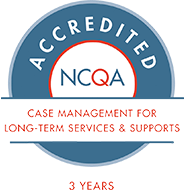 Our 35 years of collective experience and leadership in the aging field has earned us a reputation for excellence in the areas of assessment, advice, care management and service delivery. If there is a subject related to aging that you do not see listed, we will be happy to research it and work with you to formalize a presentation. For additional information or to request a speaker, contact our Development Office at development@esmv.org or 978-946-1433.